This charming boutique condo is surrounded by greenspace on two sides and is across the street from a quaint shopping centre. 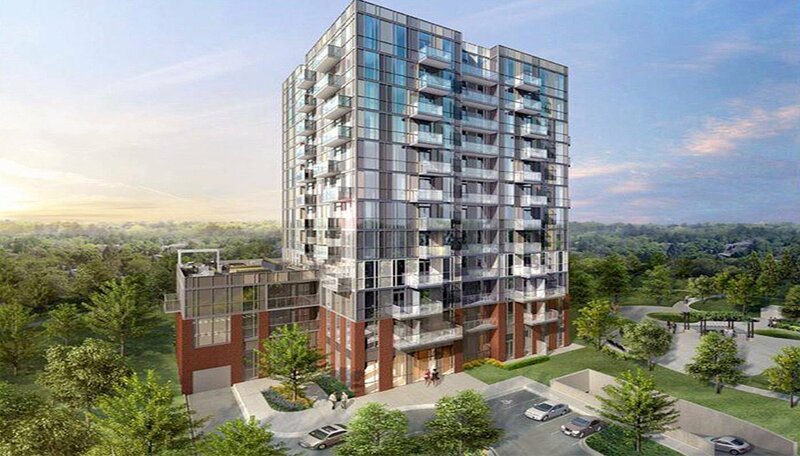 If you crave a convenient condominium lifestyle in an established Mississauga neighbourhood, consider Chelsea on the Green Condos, This mid-rise project will be ready for occupancy in 2021. 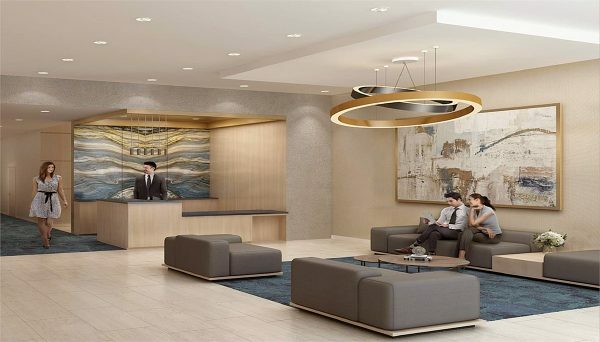 Situated at Rathburn Road East and Ponytail Drive, this development occupies prime space in an established Mississauga community, and with only 12 storeys and 153 suites, This new condominiums will offer an exclusive, yet welcoming atmosphere. With 22 different floorplans, ranging from 524 to 749 square feet, you’re sure to find a layout that fits your needs and style. This Rockwood Village mid-rise will include a wide range of comfortable and contemporary amenities, both indoors and out. A bright and welcoming lobby with a 24-hour concierge will greet you as you walk through the front door. You’ll also find a fitness centre and yoga studio, party facilities, conference room, a guest room and a pet wash centre. Plenty of underground parking for both bikes and vehicles will be included in this project as well. This Mississauga condominium will rise from a triangular site bordered by a lush Hydro corridor on its south side and Shaver Trail Park to the east. It’s perfectly situated to showcase the natural surroundings of Rockwood Village. Just minutes away, you’ll find the lush 525-acre Centennial Park, one of Mississauga’s most popular spots for recreation. Here you’ll find a wealth of options, including the Etobicoke Olympium and a ski and snowboard centre, which includes – yes – a small alpine skiing hill, one of only two in the GTA. There’s also a stadium, motorcross track, golf course, sports fields and plenty of picnic space. With 7 acres of marshland and a pond, it’s also a great place to relax and take in nature’s tranquil surroundings. 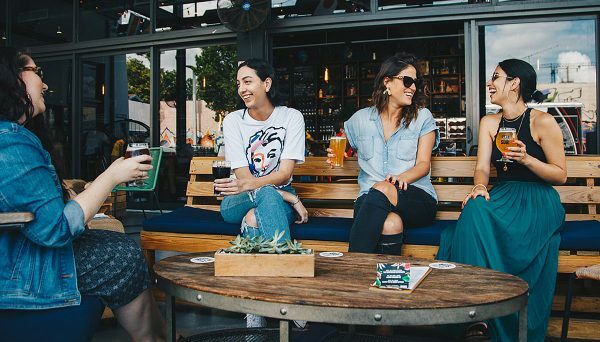 Directly across from this new building is a convenient shopping centre, where you’ll find a supermarket, Starbucks, Shoppers Drug Mart, restaurants, and many other urban amenities, so day-to-day necessities are a breeze. The site is well-served by transit, with a bus stop essentially at your doorstep. The #20 bus on Rathburn can take you to Islington Station and connect you with the TTC, or west to Square One, the main hub for Mississauga’s regional transit. Square One in particular is a popular attraction for residents from all over the GTA. The largest shopping centre in the province, it features everything from high end retailers to big box stores. For drivers, the future site of this condo project has easy access to major highways, making it equally easy to commute to downtown Toronto or elsewhere in the GTA. This modern mid-rise sits in the epicentre of nature, shopping and community. A wide range of residents will be comfortable here, from growing families and young professionals to downsizers and mature couples. 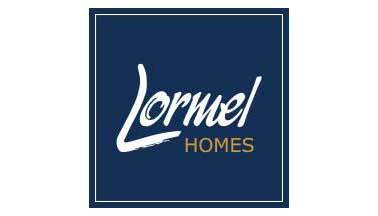 Lormel Holdings prides themselves on understanding family values. All their projects, from entire residential communities to sleek, condo-style mid-rises are designed with the needs of families in mind; plenty of light, open and efficient layouts and warm, contemporary finishes. Strategically-chosen neighbourhoods, careful planning and meticulous attention to craftsmanship ensure their homes have lasting value. Lormel’s communities can be found all over the GTA, including Woodbridge, Brampton and Mississauga.